Dance Marathon is a student-led organization that raises funds and awareness throughout the year for sick and injured kids treated at our local children's hospital. Students and organizations join our campus-wide movements by registering and creating fundraising pages, participating in events on campus, and asking friends and family members for our donations. Our year culminates at our annual Dance Marathon event, where we connect with and honor patient families, play games, enjoy entertainment, fundraise, and reveal our annual fundraising total - all in support of kids ar our local children's hospital. Be a champion for the kids. Register today! Miracle Network Dance Marathon is a student-led movement that exists to raise funds and awareness for local Children's Miracle Network Hospitals. This movement unites students and helps them become a part of something bigger than themselves by raising funds and awareness for their local children's hospital. Since 1991, students across North America have raised more than $250 million for local children's hospitals. Children's Miracle Network Hospitals raises funds and awareness for 170 member hospitals that provided 32 million treatments each year to kids across the U.S. and Canada. 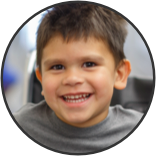 Donations stay local to fund critical treatments and healthcare services, pediatric medical equipment, and charitable care.